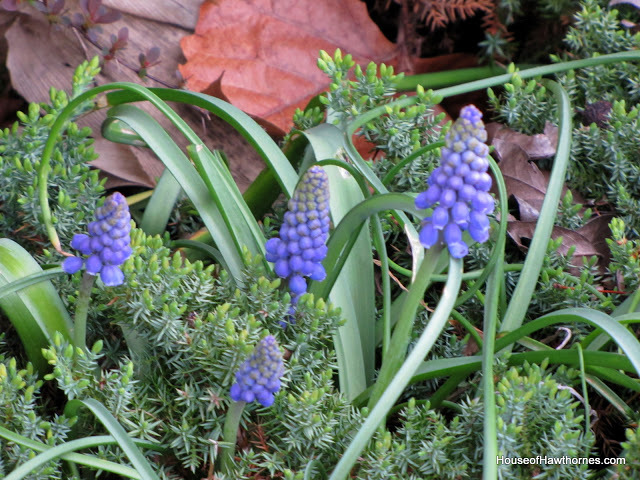 My grape hyacinth finally bloomed the other day. I immediately ran outside and lopped off a couple sprigs of it to take some photos. I always love these little gems. So bright and cheerful. So springy. 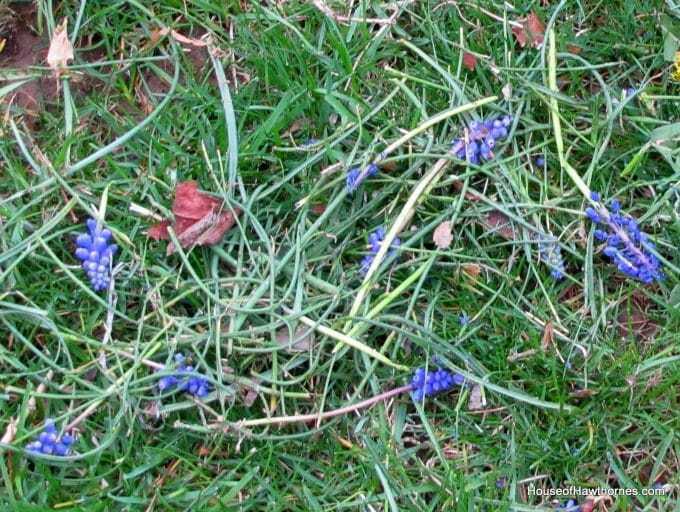 You see, the next day my husband came along with the weed wacker and wacked down all but a few of the pretty purple flowers. I do have a few stray ones still growing in the bushes. I guess we’re not weed wacking the bushes this year? Oh my Pam!…..Oh well, what can you do! On another note the pictures are beautiful!!! So glad you snapped those pic’s for us to enjoy!! Oh yay, don’t you just love it when they do that. Well the few that are salvaged are pretty. Oh, no! I can’t believe he did that! You’ll have to give him a hug and remind him earlier next year to leave the sweet grape hyacinths be! Oh I had to laugh! Sounds like something my hubby would do. I caught him trying to use the weedeater in my perinneal bed one year. Arrrrgh!! well at least you got to enjoy them for a day! Oh boy, it reminds me of the day a neighbors boy beheaded all my tulips! I was crushed! Your hyacinths are . . . err were beautiful! Oh my, I had to giggle at the weed wacking hubby. Mine does the same thing in the yard. So hard to not get too mad 🙂 Those flowers are absolutely gorgeous. Good thing you’ll get more. Men! Duhh…DUHHes it look like a flower? DUHes it smell like a flower? DUh ya think it might BE a flower? One day I will tell you about MyHero trimming a 12 foot cedar tree until it was about 4 feet tall and so mangled we had to cut it down before the landscape police arrested us! 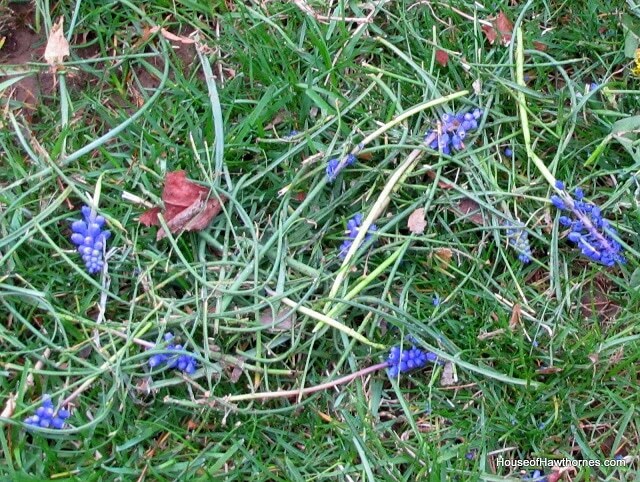 Firstly, sorry to hear that hubby chopped your beautiful grape hyacinth. But you know how men are, they don’t know the difference between a weed and an actual plant or flower…at least my doesn’t. But they are just gorgeous and I’m glad you got to snip off a few for your pictures. I’m glad you rescued a few of them–they are lovely. I like your foggy picture too! Oh no! I’m glad you saved a few! I’ve spent a year planting dwarf mondo grass between my flagstone on two long paths at the house. It was growing in nice clumps (loves the cool winter weather) then…hired someone to mow the yard. Hubby has been working long hours. It was suppose to be a treat. They used the weeder and cut the mondo down to the dirt! I feel your pain. Nice photos! I love those little gems! Men, what do they know anyway. Ha, Ha!! All men have a certain trait…how they manage it, I don’t know. They all seem to do things that you really can’t get mad about because they were doing something else nice. My husband does all our cooking, but he destroys the kitchen so I have to clean for hours…I’m suppose to be thankful that he at least cooks. So whatcha gonna do? I hate yours cut down your beautiful flowers, but you got a good man there taking care of your yards. The flowers are lovely! Oh man. That is such a bummer. Hubs was trying to do the right thing and then……sadness. Maybe they can still be used in a pretty bouquet??? I’m glad you were able to save a few grape hyacinths for your vignette. They are lovely and such a delight to see after a long winter. Oh, such a naughty husband! We can only hope that this “pruning” will encourage them to multiply. Pam my husband used to do this all the time to me!!! Oh you brought back memories. I had beautiful columbines lady bonnets and he whacked them all!! I thought i was going to have heart failure! I’m glad you took pictures before hubby hacked them down!!! Beautiful photos!!! Great Pictures! 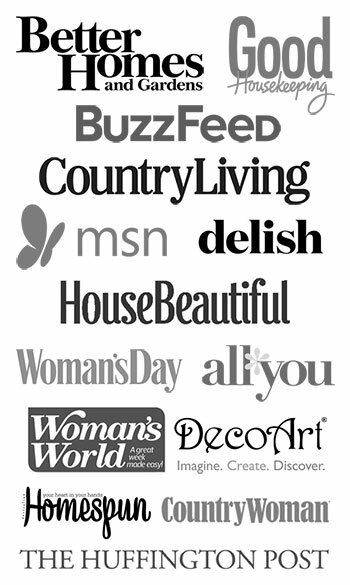 Thanks for commenting on my site! Now I’m off to explore yours! What fantastic pictures sweetie!!! They make me long for mine that I’ve had for years and years until Hubs ‘sprayed’ their spot last summer with Round~up….nope…they didn’t show up this year. God bless ya’ll from the nostalgic hills and hollers of the Missouri Ponderosa!!! 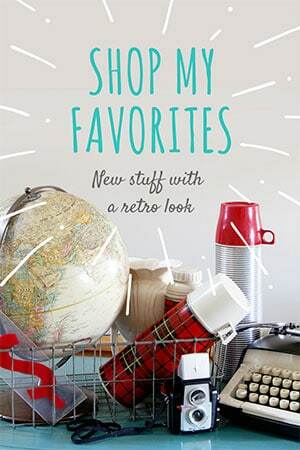 BTW: I just hopped over from Agin’ Disgracefully and wanted to invite you to my Happy Easter Giveaway, ya’ll come! Oh my! At least next year he’ll know better! I love grape hycainths too….my mother has tons of them. 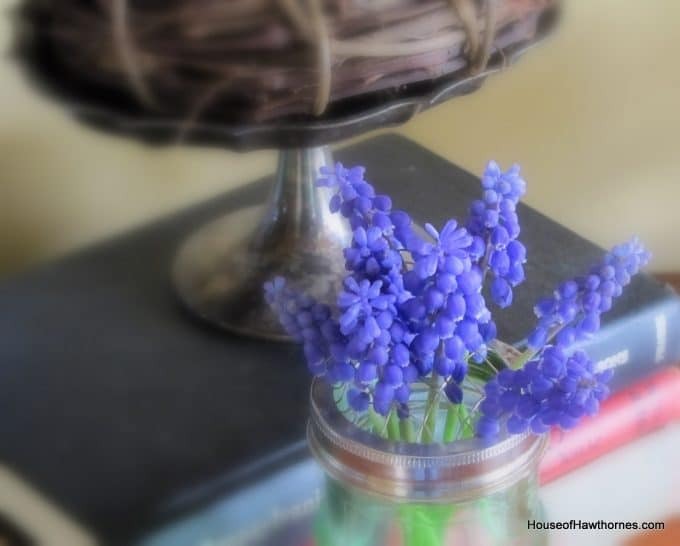 I am really looking forward to planting grape hyacinth bulbs this fall. I love them! We had them growing around our mailbox when I was growing up and I remember crossing the street very carefully so I could pick them. At least you salvaged a few … they are lovely! Oh, God! My cousin did that one day with flowers I had growing (but were still just greens, the flowers hadn’t sprouted yet), I wanted to kill him. And since he was weed-whacking as a favor, I couldn’t even yell. But now, your husband… HIM you could yell at! But really, they ARE so lovely, they look beautiful on the little plate especially. How pretty, yet how tragic! My husband would do the same thing if I let him anywhere near any power tools. Pretty shots, Pam! 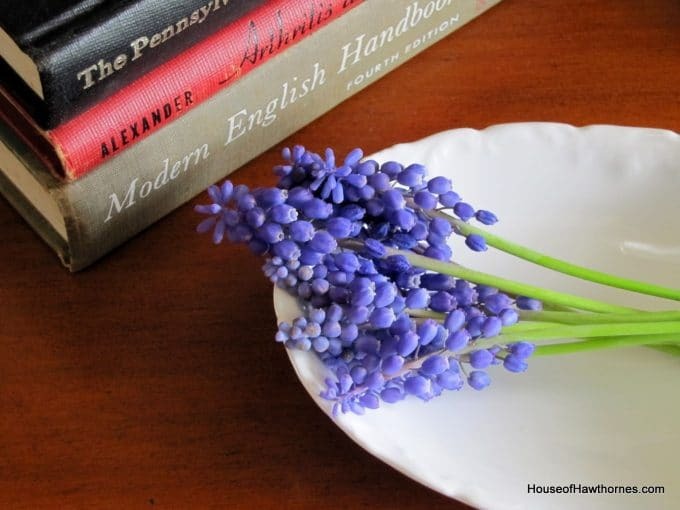 I love the smell of grape hyacinths. They smell like grapes!